Release Your Potential. For a rich life, full life, self discovery. From bottled up to reaching creative development. Inner riches, inner magic. 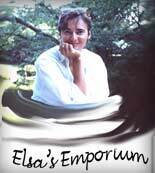 The Creativity Emporium is for you. If you find it's not for you, you can opt out immediately, no question asked. Releasing your potential - this is something you're searching for. You know you want more, need more.You know there is more. And you want to develop your potential. You're a searcher. You want a richer life, a fuller life. You hate to feel bottled up. Here's what I'm offering. I offer nourishment. You need nourishment to grow, for greater personal development, creative development, self discovery, good thinking skills. You need, in fact, ongoing nourishment. Eating one good meal a month isn't enough. That's why, in addition to The Creativity Emporium, there are updates. What kind of nourishment am I offering? For the emotions, there's Dr Zee's Loveline, an exploration of the meaning of home, plus poetry and spoken word - emotion poems, love poems and songs, broken heart poetry, life poems. For critical thinking, I offer good thinking about good thinking and bad arguments, the non-secret ingredients needed for critical thinking. Plus there's stimulating thinking on all kinds of subjects. What benefit this nourishment give you? A richer life, a fuller life. Creative development. Intellectual stimulation. Every part of us needs nourishment. Most of the time we're rushing so much, we live in emotional poverty, much of our selves bottled up, undeveloped. We're often feeling depressed and stressed. We ignore self discovery, inner riches. We worry rather than enjoy. We ignore self awareness and self development. Why take on more if you're already stressed? If we're overweight, that doesn't mean we should not take on new foods. It may mean cutting down on some of what we're eating. It may even mean we'd do better cutting out some of what we're eating. But we need to eat. And in fact we are likely not getting the nourishment we need. The Creativity Emporium offers creative development, good thinking, a more passionate life, more self development, self awareness, personal growth, as well as a sense of community. My 100% guarantee: I guarantee you can opt out at any time. No questions asked. If for some reason this isn't for you, fine. But if it might be right for you, enter your email address below. You'll get one welcome email, and then FREE updates. Plus - an added bonus - you get the password for the MEMBERS ONLY pages. A big recommendation: read the update, and give it a few moments of thought. The updates could lead you toward filling the hunger inside you. So here's your chance. Release your inner magic, inner riches for creative development, more passion, better thinking, a richer fuller life. You need to do this right now. Why? If you don't enter your email address now, you've lost the opportunity. The opportunity stays. But chances are, you have lost it. The web is huge. It's hard to find your way back. Plus, life is so packed with things to do, rushing and stresses. Hansel and Gretel couldn't find their way back home in the woods, when birds ate the crumbs they left as a trail. They almost got burned by a big bad witch. The web is much larger than the woods where Hansel and Gretel got lost. Our everyday lives are much more confusing. So don't miss out on this invitation, this chance, this opportunity. Release Your Potential. For a rich life, full life, self discovery. From bottled up to reaching creative development.